Welcome to our February 2019 Newsletter providing information and insight into our enhanced MAPS™ SIP Protocol Emulator that generates and receives SIP Signaling with traffic. In this newsletter, we will be discussing Message Session Relay Protocol (MSRP) Emulation for Session Based Instant Messaging in MAPS™ SIP software version 8.10.15. Public safety communication service providers can deploy this test tool for testing NG9-1-1 emergency services and components within the Emergency Services IP Network (ESInet). Major wireless carriers have committed to providing Text-to-911 services to end users. In addition to these primarily carrier dependent services, there are many Over the Top (OTT) IM apps which connect users with the NG9-1-1 system directly. 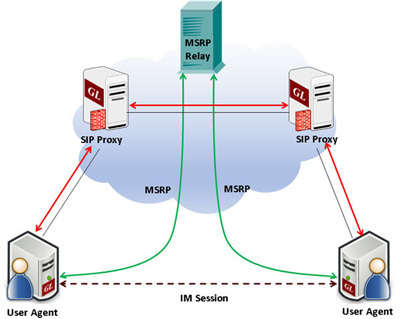 To consider a series of messages exchanged in a private chat between SIP end-points in a single session, the messages are transported over a session-oriented instant message transport protocol called the Message Session Relay Protocol (MSRP). GL’s enhanced MAPS™ SIP with MSRP support for Instant Messaging allows SIP vendors, wireless carriers, NG9-1-1 service providers, and emergency communications centers to validate IP applications for NG9-1-1 services prior to deployment. GL offers enhanced MAPS™ SIP emulator with Instant Messaging (IM) delivery capability conforming with RFC 4975/4976 - Message Session Relay Protocol (MSRP) protocol. Unlike regular SMSs, IM requires a series of messages exchanged between two or more parties to be treated as a single conversational message session. 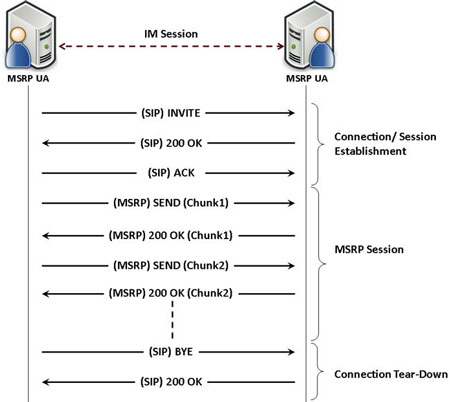 Once a TCP connection is established between the two end points, “session-mode” instant messages using MSRP are treated similar to audio or video media sessions. Thus multiple sessions to different end-points are established over a single TCP connection. 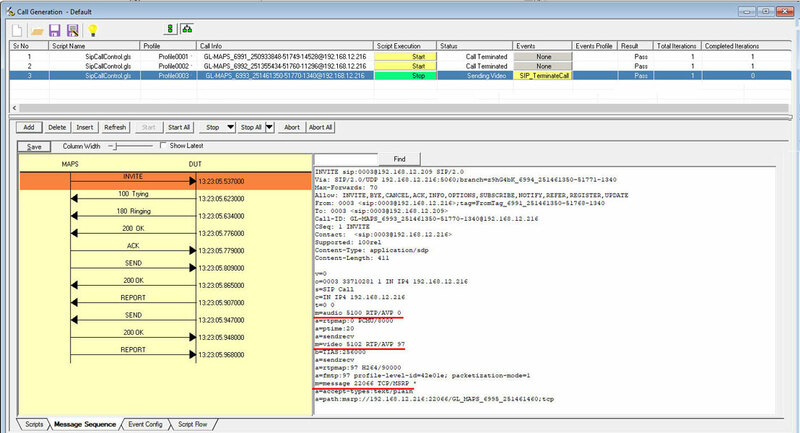 MAPS™ SIP (requires PKS120, PKS102/PKS109 and PKS112 licenses) software supports simulation of SIP/RTP sessions as well as instant messaging sessions over SIP using MSRP protocol. The supported call types can be IM Only Calls, Audio and IM Calls, and Video and IM Calls between multiple UAs. The software is capable of simulating high-volume SIP sessions for load testing and reporting thresholds. Ready-to-use scripts and custom-build scripts allow advanced test scenarios using SIP methods like SUBSCRIBE/NOTIFY, REFER and INFO for testing NG9-1-1 interfaces. MAPS™ SIP also provides User Defined Statistics which can be configured to provide MSRP statistics including metrics such as Total MSRP Messages Sent, Received, Bytes Sent, and Bytes Received. These statistics are calculated and updated periodically during run time.